Home/Healthcare/Where does CBD Oil Come from? CBD or cannabinoid is known for its unlimited benefits for health including emotional and physical disorders. THC is similar to CBC in many properties varying only in altering brain function as it is extracted from marijuana which makes people high. However, the source of CBD should be reliable and safe for human use as it accounts for the well being. There has always been confusion between hemp and THC to be the source for extracting CBD although not both the sources give the same outcome. 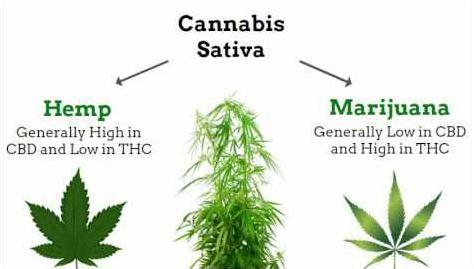 THC and Marijuana vary in their genetic composition as they are both grown for various purposes. Where does THC come from? THC’s high content in marijuana makes it a psychoactive drug which causes people to become high. So, it’s basically the inside of marijuana which causes the outer symptoms. THC is the compound present in cannabis plant and its quantity decides what category of product it will become. For example, marijuana contains high quantity of THC which makes it different from hemp which has a lower level of THC. For hemp, THC levels should not exceed 0.3% so as to be used by various industries like textile, food, and clothes. Different Cannabis Drug Testing Methods are used for detecting THC values in the body which indicate its half-life. THC rich compounds, however, take longer to eliminate from the body as it is harder to metabolize. The euphoric high feeling comes from THC which is present in marijuana. THC can bind to the cannabinoid receptors produced by the body and gives different results than CBD. Although the sources of both the compounds are same, they vary in their molecular structure. On the other hand, CBD does not bind to the cannabinoid receptors thereby acts as an antagonist. CBC does not cause psychoactive functions which makes it legal in the United States. The source of CBC should be reliable and safe to be considered as a legal product worldwide. There are various methods to extract CBD from the cannabis plant to get the purest form possible. Some of the methods are listed below. The CO2 method is known for the purest form of CBD extraction among all other methods. This is also the safest method as it removes all chlorophyll from the extract when CO2 is pushed through the plant at high pressure and low temperature. Although the CO2 method of extracting CBD can be expensive as the whole process costs high. Common carrier oils are used for extracting CBD like olive oil. This method does not leave any unwanted residue in the product and makes CBD nutritional by adding the nutrients of oil to it. This is considered safe and CBD extracted through it can be used as a reliable product. This method does not gain popularity as it is the least desirable of all other methods. The method uses high grain alcohol to extract CBD although most of the nutrients in CBD are destroyed when being processed with ethanol. Does THC have an effect on CBD? As the quantity of THC in CBD is negligible to 0.3%, it does not have any effects on the outcome. The presence of THC in CBD cannot be denied as it is part of the same plant when extracted but the levels are kept low. The limit of THC in the body is 40ng/ml which if exceeds, may fail the drug. Unless you take a massive dose of CBD to about 1300ng/ml, the low levels of THC won’t affect your health adversely. Do you want to give CBD Oil a try? CBD products should be bought it their purest form which comes from a reliable source. CBD from hemp is pure and safe for human use as the hemp plants are of high-grade quality. CBD Oil has never failed to amaze how beneficial it can be for human health. The benefits for several health disorders should be availed in the form of CBD as it becomes legal across the United States. Baby Movements – How to Make Your Baby Move?